L. f. graellsii JR6 16cy February & October 2008, Netherlands & Spain. 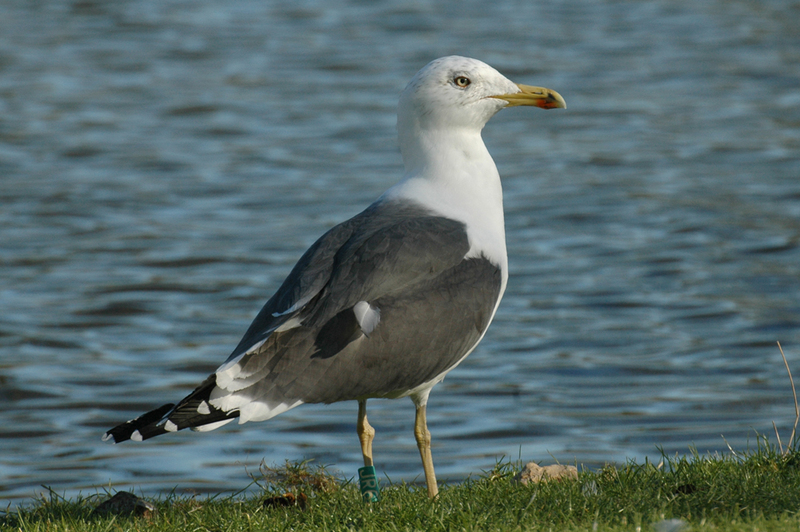 Ringed 16cy graellsii "Dutch intergrade" at the start of the winter, ringed as pullus in 21 June 1993 at Europoort, the Netherlands by Norman van Swelm. below: JR6 16cy October 19 2008, Landfill VRSU de Colmenar Viejo, Madrid, Spain. Picture: Delfín González. P7 fully grown (P7>P6) and P9-P10 still old. below: 16cy JR6 February 16 2008, Dordrecht, the Netherlands. 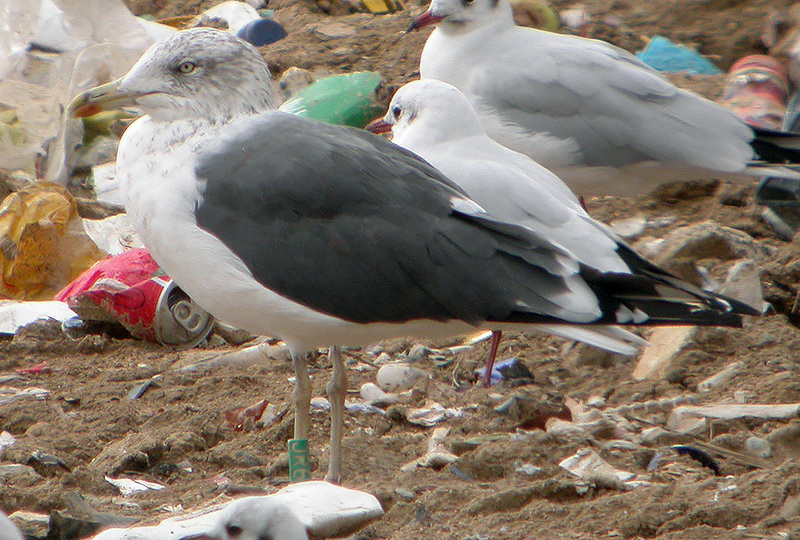 Ringed as pullus on 21 June 1993 at Dintelhaven-Maasvlakte, Zuid-Holland, Netherlands.